Is it bad that I wear boots about 97% of the time? what's an art journal without PB and banana? sparkly shoes that I wore as a little girl. 1. What was your favorite thing you wore as a child? 2. If you could cast any actress or actor to play you in a movie, who would it be? Completely random, yet completely thought provoking. Tomorrow is Friday and I have a three day weekend...THANK YOU GOD! P.S. Check out Shelly's giveaway! Emily, these drawings are... Oh, words can't even express how amazing these are. You are so talented! You certainly bring a little bit of beauty into my life. 2. Uuuum... I'd have to say Meryl Streep as an old-lady version of me! Ha! emily! you are such an AMAZING ARTIST! i adoree your drawings...you are so talented girl, don't be afraid to show it off! i especially like the peanut butter and bananas :) and the shoes! they take me back to my 4-year-old days! i love it. 1. my favorite thing as a child were my bright green converses (such a weird kid, i know) and 2. actress would be Alexis Bledel, she is so sweet! OMG you are such a talented artist. please please please post more of your art! 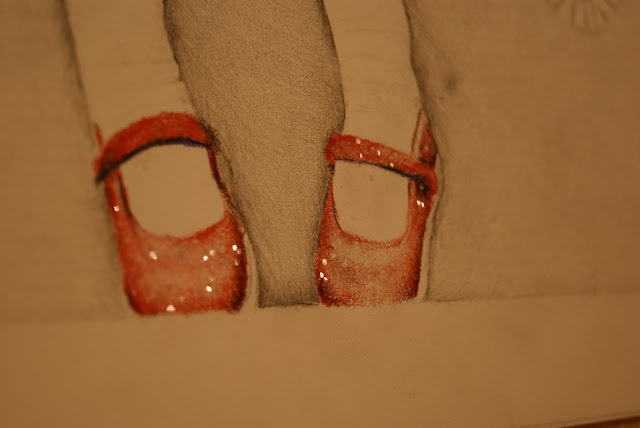 i was a ruby slippers wearer as a kiddie too, along with gelly (or is it jelly?) sandals. remember those? Gorgeous drawings! I wish I could draw. 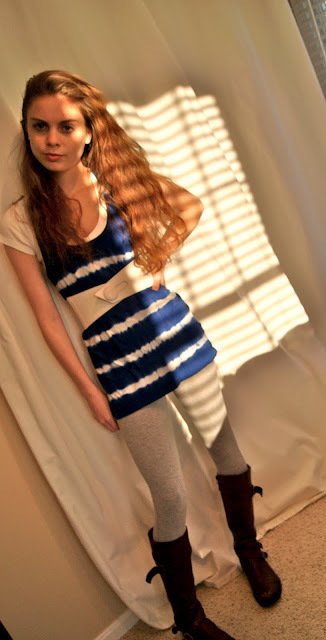 :D And your outfit is super cute, I love wearing boots too. I'm going to see if I can force myself to wear some other type of shoe tomorrow..
you are so beautifully gifted with art/fashion! We are two of a kind, Emily...I wear boots 97% of the time, as well (perhaps more), and I most certainly wouldn't have it any other way. Loving yours!! Please continue to post pictures of your drawings - you are far too talented to keep your illustrations to yourself!! love love love love love love your artwork. 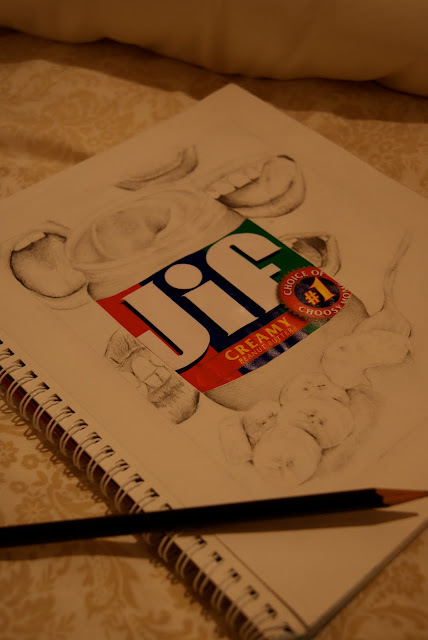 the Jif one absolutely blows my mind. fantastic!!!!!! your art is lovely...wow. I am so loving your work!!!! your art is SO fantastic! 1. I ALWAYS wore "princess" dresses when i was little.. and tutus.. everything super girly. and frilly. Love the peanut butter! Please post more of your art! Favorite thing I wore as a child? Honestly, I don't even remember. Did I even wear clothes? Who knows! Hmmmm.... one actress to play me in a movie... this is a toughy, but I'm going to say Natalie Portman? Although it would take some serious platform shoes (Those McQueen's, anyone?) for her to be my height! I love boots & your artwork. AMAZING! You are so talented! my favorite thing as a child that i wore was my minnie mouse costume! your talent is just astounding, sweetie. You have been blessed with such special gifts!!! OMG YOUR ART IS AMAZING! love the look as well ;] you are so talented! and no way, boots are awesome :] i'd say i'm about the same--97% haha. i would totally love to be able to draw like you do, its beautiful i would frame that and hang it up on my wall in prime position its so good. I just read your comment on Leah’s blog about the poem I wrote, “Ode to Leah”. Thanks for your kind words, they’re much appreciated! Ummm oh my word! You are soooo talented! This art is fantastic! You are so incredibly talented and your work is so creative! When I finally get my denim project off the ground, i may be calling on you for some of your artistic vision. I love these questions! definitely thought provoking! i'd have to say my favorite thing to wear as a little girl was twirly dresses. i used to have twirling contests with my sister. I LOVE your boots. and your drawings are awesome too. when i was little i had this awesome dress with a teddy bear on it...i remember crying when it got splattered with paint.